Friday Funny : MEN ARE SIMPLE! Posted on Wednesday, October 31st, 2018 at 2:29 pm. In case you hadn’t noticed, man and women are slightly different! Life gets easier once we find out that we all respond differently in situations. The way a man communicates and a woman communicates are totally opposite sometimes. 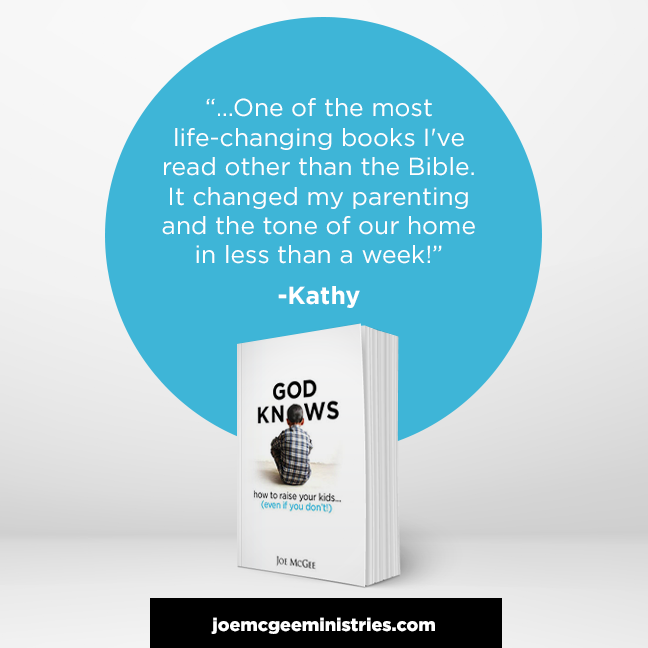 Learning how your spouse communicates and responds is how we grow in our relationships. Listen as Joe shares a lady’s story about her husband and cleaning up after the Super-Bowl! Joe has a way of taking a deep subject and making it incredibly easy to understand! FF – Men Are Simple from Joe McGee Ministries on Vimeo. To build a great marriage you must have good communication skills. Unfortunately, those skills aren’t part of our DNA when we are born. We have to learn them and constantly work to develop those skills. 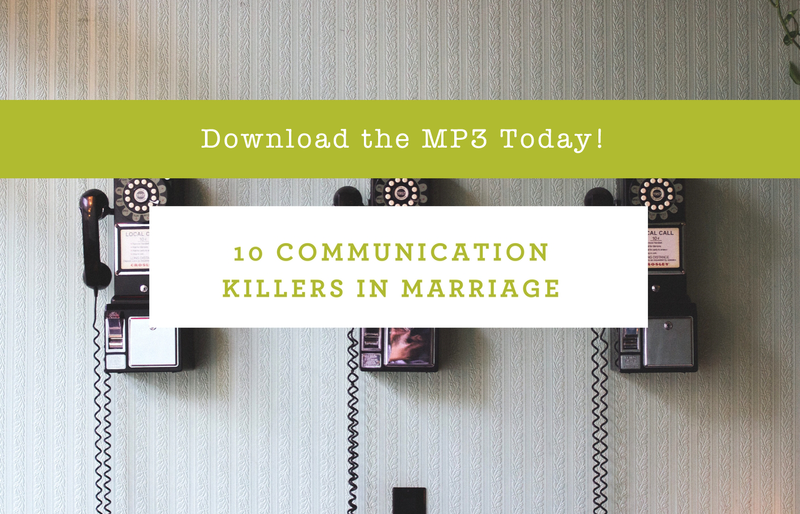 Communication skills help us build a stronger marriage and true intimacy with our spouse. Posted on Tuesday, October 30th, 2018 at 5:25 pm. Posted on Tuesday, October 30th, 2018 at 5:15 pm. Have you ever had someone try to explain something to you and at first you didn’t get it, but then you finally saw it? Jesus taught with parables, using simple stories of natural, everyday things, like farming or fishing, that they could see and relate to in order to explain something they couldn’t see. He’d talk about sowing and reaping to explain how that same principle worked in the kingdom of God. He made sure to explain things to them in a way that made sense to them. Once they saw it and understood it, then they were able to put those spiritual principles into practice in their lives. God says in 1 Corinthians 2:9-10 (NLT) that the things He’s prepared for us are so great that they are beyond what we’ve ever seen, heard, or imagined! But He didn’t just leave us hanging, wondering what those things are. He goes on to say that He will show them to us by His Spirit. Posted on Tuesday, October 30th, 2018 at 5:02 pm. God is the One who has the vision for our lives, and the only way to get it is to get it from Him. How do we do that? 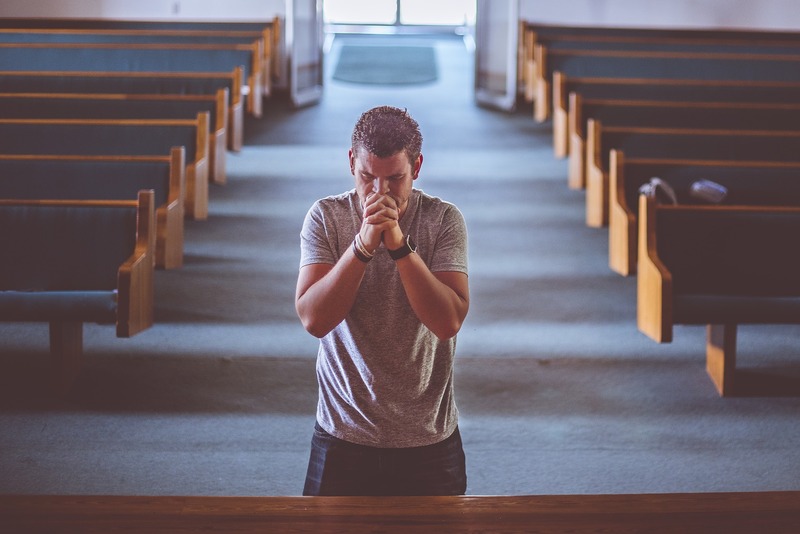 God made it simple—all we have to do is ask Him. He says, “You do not have, because you do not ask” (James 4:2 ESV). God has planned great things for each of us, but we have to ask Him to show them to us. He said, “Call to me and I will answer you. I’ll tell you marvelous and wondrous things that you could never figure out on your own” (Jeremiah 33:3 MSG). If you want to get a vision for your life and walk in the amazing plans God has for you, take the time to simply go to Him and ask. Posted on Tuesday, October 30th, 2018 at 4:44 pm. To get a vision for your life, you first have to believe that God has a plan specifically designed for you. 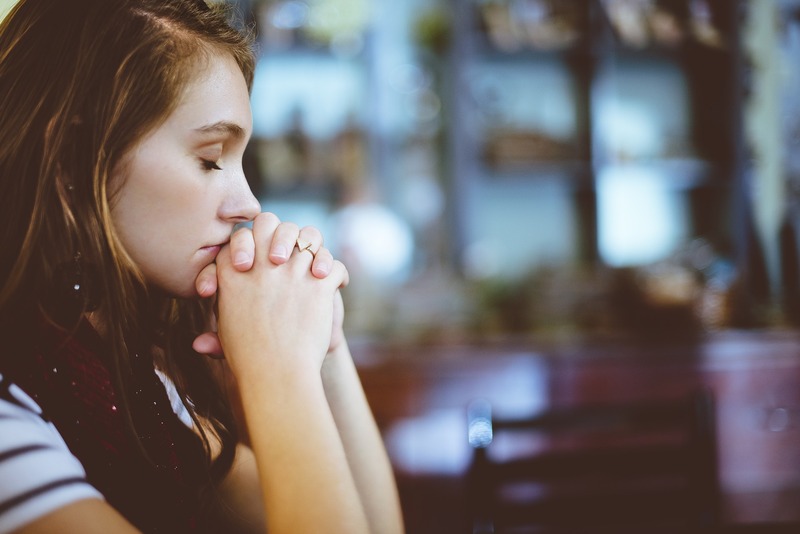 A lot of people live by the motto, “Well, this is just the hand life dealt me,” and they just settle for whatever comes their way, never realizing God has a great plan for them. 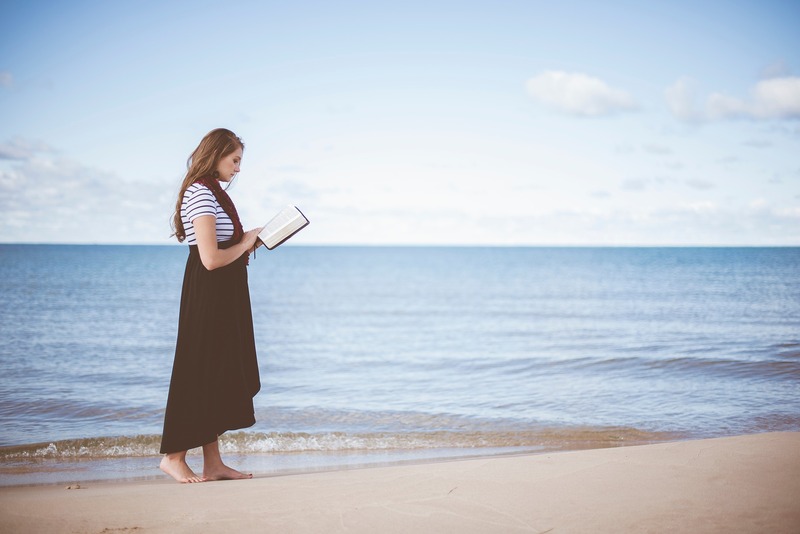 You can have confidence that He has a plan for your life because in the book of Psalms it says that His plan for each of us was written in a book before we were ever born. “You saw me before I was born. Every day of my life was recorded in your book. Every moment was laid out before a single day had passed” (Psalm 139:16 NLT). Imagine that! God was thinking about you and the vision for your life before you were even born! He also said His plans for you are great and mighty—not plans that will harm you, but plans that will prosper you and give you a future and a hope (Jeremiah 29:11). God has good plans for you! Posted on Monday, October 29th, 2018 at 4:44 pm. There’s a saying, “If you don’t know where you’re going, any road will get you there” (Lewis Carol). In other words, if you don’t know your destination, you’ll just drive and drive with no purpose and no destination. You’ll waste a lot of time and fuel going nowhere. It’s possible to live without really living. 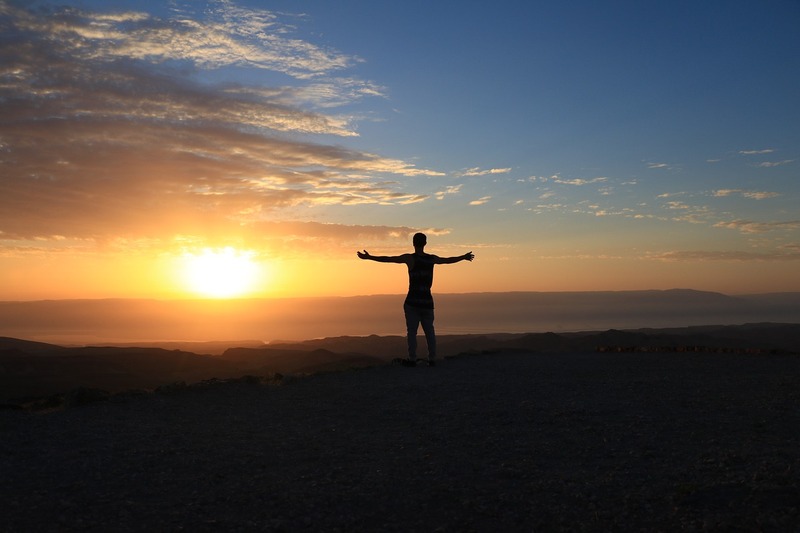 To live life to the fullest, you have to know why you’re here. You have to have a purpose. The people who have the advantage in life are the people of vision. Proverbs 29:18 (KJV) says, “Where there is no vision, the people perish.” If you only see yourself as another number or as just taking up space, you’ll never stretch yourself to your fullest potential. As a result, you won’t grow, you’ll stagnate, and you’ll live a hopeless, dissatisfied life. God didn’t create us to live that way. We serve a God who is full of vision! As His kids, He wants us to have vision too! What is a vision? A vision is a goal (a purpose) that you see in your heart by faith but that hasn’t yet become a physical reality. Each of us is uniquely created by God with a specific gift and calling on our lives. Having a vision of God’s purpose for us will lead us and give us direction all through our lives. Posted on Monday, October 22nd, 2018 at 3:42 pm. 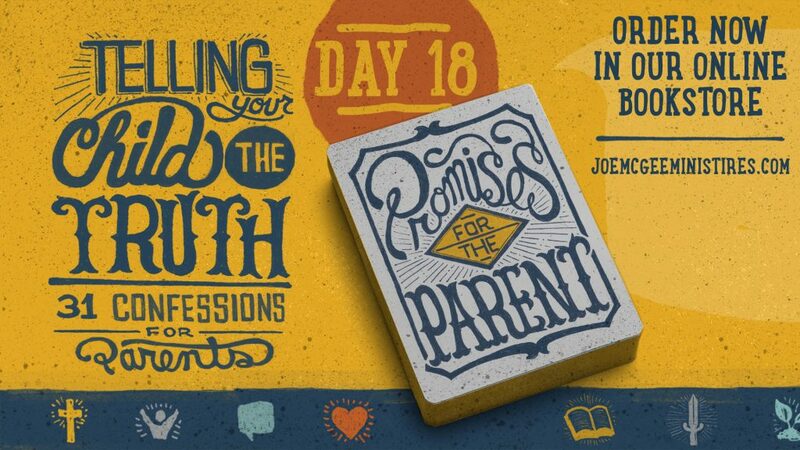 Promises For The Parent #18 from Joe McGee Ministries on Vimeo. Keep Your Eye on our Blog for Day 19 of our series Promises For Parents! Posted on Friday, October 19th, 2018 at 5:12 pm. Posted on Friday, October 19th, 2018 at 5:09 pm. Keep Your Eye on our Blog for Day 15 of our series Promises For Parents! Posted on Friday, October 19th, 2018 at 2:34 pm.